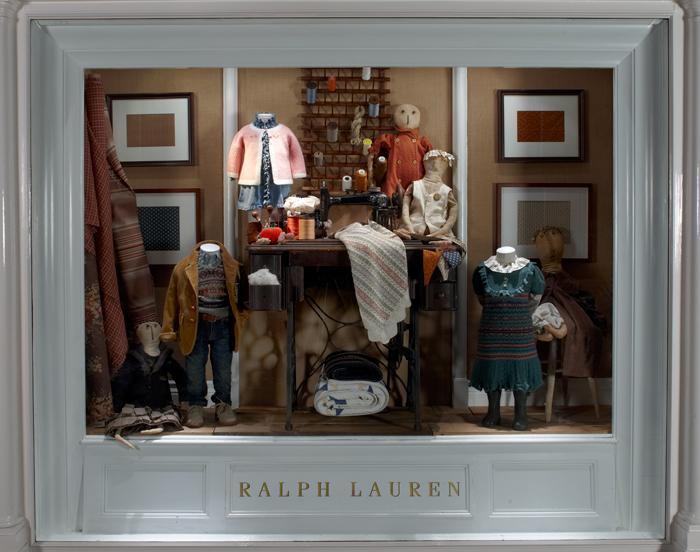 Tina's folk art dolls were featured in the October 2011 Ralph Lauren Baby & Children's Windows in Madison Avenue, NYC; Troy, Michigan; Short Hills, NJ; Los Angeles, CA. Also shown in August 2011 in The Hamptons, Long Island, NY. Additional artwork and vintage props are supplied to Ralph Lauren as needed.